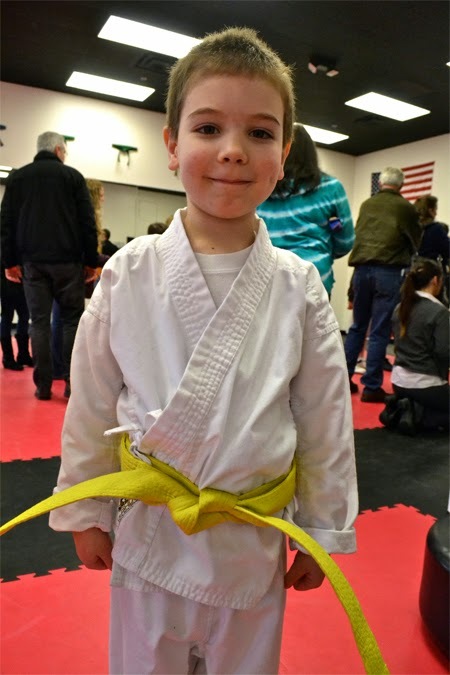 Buddy took his first belt test over the weekend and passed. 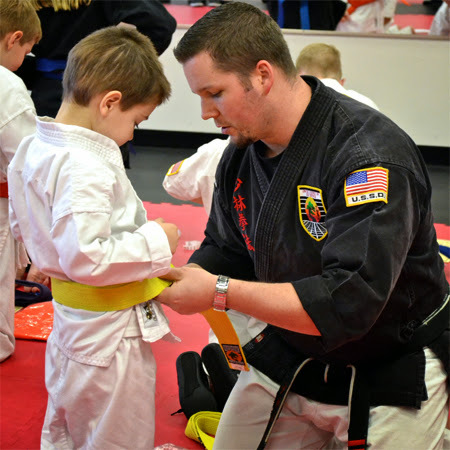 We are so proud of our new yellow belt. 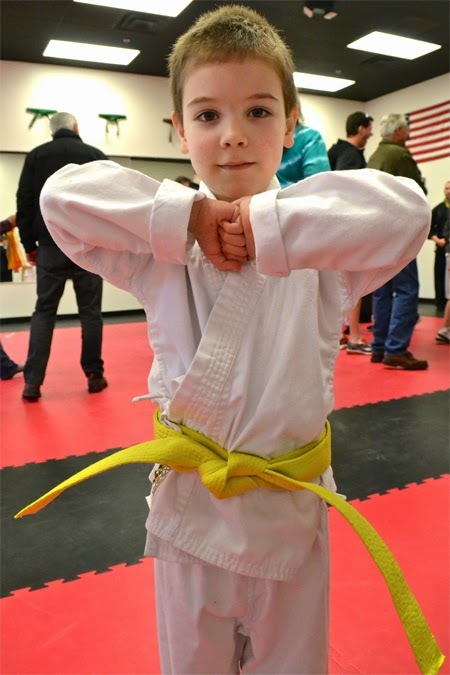 He is proving to be quite suited to Karate. He has surprisingly good coordination and also has an excellent memory. We fight a little getting him there for class, but he always enjoys it, so I'm not certain what the problem is. 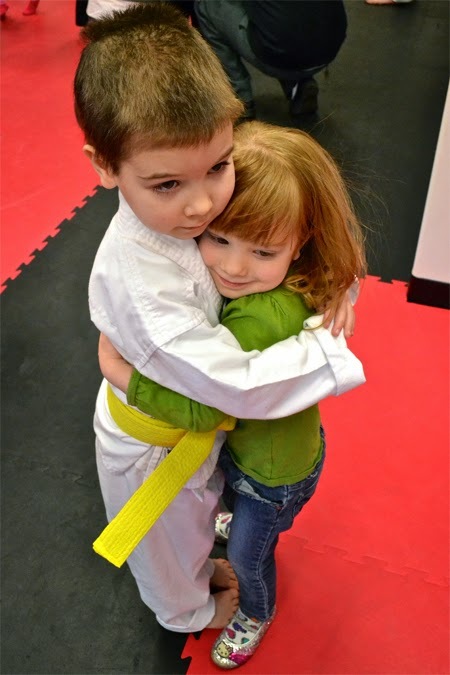 So far, Karate has been so good for him, too. It demands focus, being around a large group of kids and I think it helps build determination. Three things that Buddy really needs. I hope that he will want to stick with it. Jellybean is pretty proud of her big brother and has decided that she wants to follow in his footsteps. We might have a Karate girl next year or the year after. If only Buddy would practice with me. 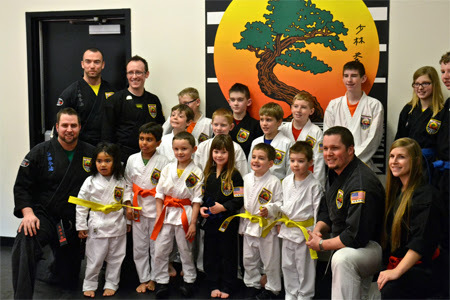 It is hard for me to stay on the sideline given my history with martial arts, but he will have none of my help. Seems to be a common theme with my kids. He is one tough and amazing kid. Way to go, Buddy!